2. For call options, this is the difference between the underlying stock's price and the strike price. For put options, it is the difference between the strike price and the underlying stock's price. 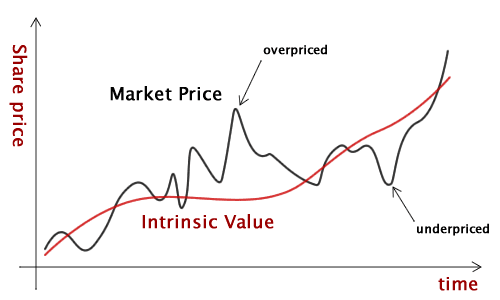 In the case of both puts and calls, if the respective difference value is negative, the intrinsic value is given as zero.